Thanks to Christina Hegele’s kind nomination in her post, I’m participating in “7 Supershots”, organized by the folks at HostelBookers. I’ve had a lot of fun with this exercise, as I’ve had to peruse and think, select and ruminate through a truckload of photos. I hope you enjoy my “super seven”! This has always been one of my favourites, because the photo always evokes memories of the “open city that is the museum itself”. At night, the place calms down, and visitors and residents head back inside. 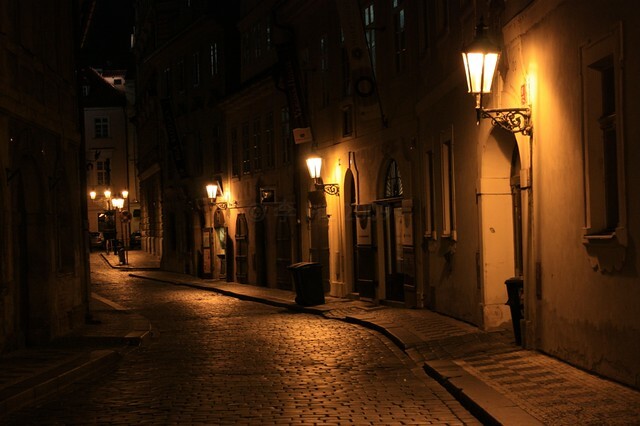 In my view, the late hour is the best time to explore the beautifully illuminated parts of Prague. 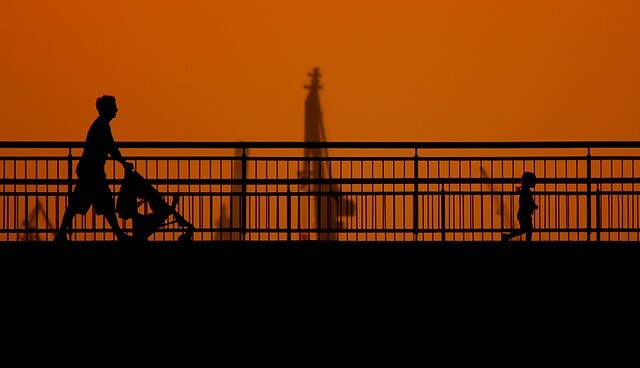 As the sun set over Hamburg harbour, I caught sight of this young family in silhouette on one of the bridges in the Sandtorhafen district. I like the juxtaposition of living people big and small with the mechanical cranes of the working port in the background. 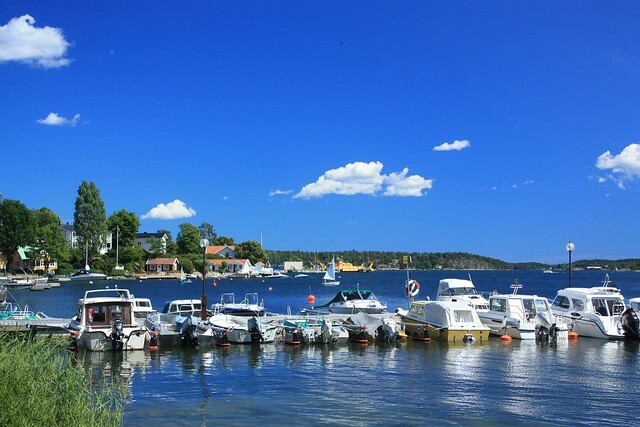 It’s summertime in Stockholm’s archipelago – long hours in the warm sun, beautiful blue skies, smooth calm waters, cozy cottages on little islands, with boats darting here and there. I dream of spending summers in Scandinavia – how about you? When you hear the words “Sydney Opera House”, the curved shells which make up the roof come to mind. But you don’t often think about the details. 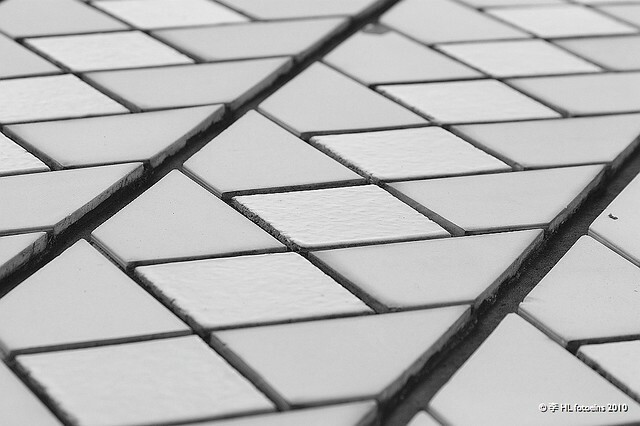 The symmetry and geometry shown here come from the individual glazed ceramic tiles which make up the shell-roof surface. The “blind” skiier is at the top of the downhill run called “The Cut” (easy-level); their seeing-guide is in front and off to the left. Did blindness come early or later in life? Has this person always skiied? If not, how did they learn? What other senses are accentuated while skiing? 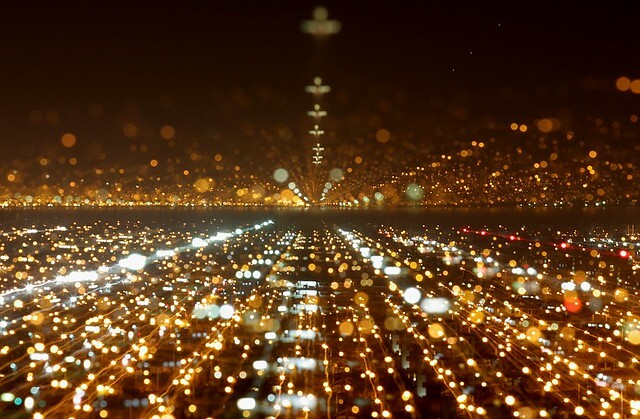 By experimenting with “focus-pull” on a zoom-lens and a steady tripod, I wanted to see how the lights in neighbouring Coquimbo would appear on photographs with minute-long exposure times. As you can see here, I was satisfied with the result. What do you think? If you have any favourite(s), please take a moment and leave your impressions in the comments below. I made all of the photos shown above with the Canon EOS450D (XSi) camera. This post appears on Fotoeins Fotopress (fotoeins.com). Stunning. I could comment on them all, as they are fantastic, but I will comment only on one – your photo from Prague – the second I saw it I felt transported back to that amazing city. We spent a lot of time wandering in the evening and the scene you have shot stands out so clearly in my mind. We walked the Mala Strana many times. Amazing shot! I am very glad I have a signed copy of one of them… but they are all great, of course. Hi, Eva! Signed, ‘sealed’, and delivered! Well, not exactly ‘sealed’, but it’s close enough for government work. 😉 Thank you! Gosh, that last photo of yours is really amazing. 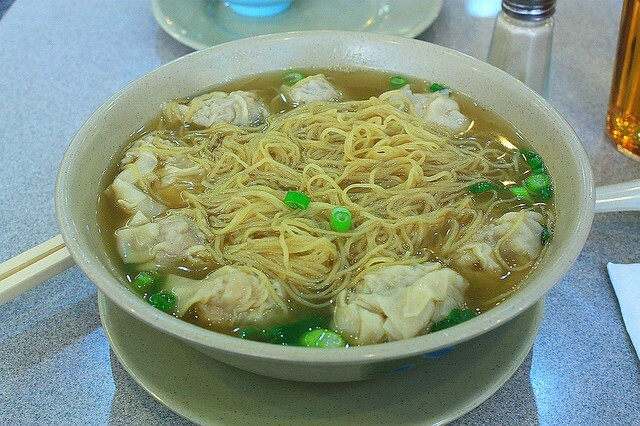 And that dumpling soup did the tick – mouth-watering indeed!! Hi, Christina. If you haven’t already done so, do give Hon’s Wun-Tun House on Robson Street a try the next time you’re in Vancouver’s West End. Mind, the prices have gone up, but that bowl keeps me coming back. 😉 Thanks for reading and commenting; I enjoyed your post (Things to Do in Vancouver) too! WOW! You take the most beautiful photos! So impressive. Hi! Thanks for your kind comment, and for following my blog! Nice shots. Especially I like sunset picture and the story of blind skier. Thanks, Vi, for reading and commenting on my 7, and for passing along your 7, too! Nisha, thanks for reading and for your very kind comments! If you’d like the wallpaper of #2, please contact me via the Contact link at the top of this page. I went to your own 7-shots post, and I commented with my favourites there. Thanks again! #2 is brilliant with its mandarine orange glow, #6 indeed tells an inspirational story, and #7 resembles a glittering jewel box. Beautiful! Thanks, Tricia! This post was fun to create, and even more fun to go through my photos and select a few to tell a story. In many ways, #2 and #6 are examples of “happy accidents” – that I happened to be at the right place at the right time. Just as important, I opened the shutter at the right time, too. 🙂 Thank you very much for reading and for your comments! Really love your Prague shot. Thats something I try to take but fail too. Next time will try again when I visit Europe. Hardly get anyshot like in my country Malaysia. Really great shot! Thanks; the shot only looks easy, but the photo can be challenging one to make. Thanks again for reading and for your comment!